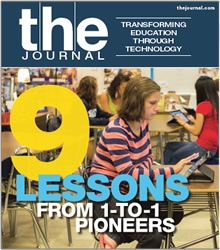 Tech leaders from five school districts share the lessons they’ve learned over a collective 37 years of 1-to-1 computing. In a roundtable co-hosted with CoSN, five CTOs discuss their data privacy concerns and reveal how they are working with teachers, students and the community to safeguard student information. Can Software Predict Teacher Success? Busy districts are turning to technological solutions to help them vet and select applicants for teaching positions. Here’s how one program is engaging Web 2.0 skills to bridge cultures and classrooms, one project at a time.